Esk Pike, in the Scafell range, to the north-west of Bow Fell and south of Scafell Pike. Esk Pike's central position above Eskdale gives it glorious views of the Scafells. 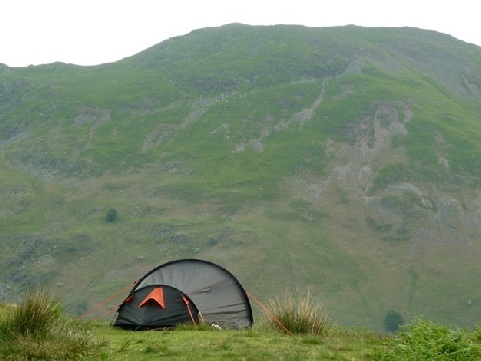 The area around Esk Pike provides a good range of camping and caravan sites as well as a great selection of attractions and things to do. 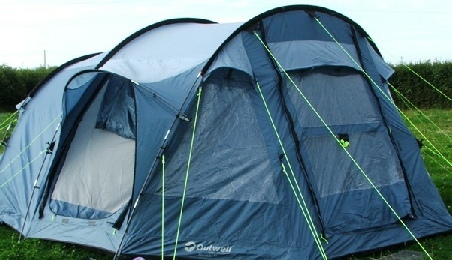 Check out the key information on the right and then explore the Esk Pike camping and caravanning sites listed below. Being far from any roads, all ascents of Esk Pike involve considerable distance by Cumbrian standards. From Brotherikeld on the Eskdale road the climber can choose between Ore Gap, Esk Hause and the south ridge, all of these options being around five and a half miles. Borrowdale gives a choice of starting points, either making for Esk Hause from Seathwaite, or Ore Gap from Stonethwaite. Access is also possible from Great Langdale, ascending Rossett Gill from the Old Hotel. Many walkers will reach the summit indirectly having climbed Bow Fell first, or perhaps climbed from Borrowdale over Glaramara and Allen Crags. For details on other ascents please see Esk Pike on Wikipedia.